Amyotrophic Lateral Sclerosis (ALS)* is a serious neurodegenerative disease characterized by a progressive weakness and a huge psychological impact on both patients and their carers. People suffering from ALS become relentlessly immobile and develop impaired speech over the course of the disease, which often leads to a locked-in state in which only residual muscular movement is possible. No effec-tive cures are available; currently only one approved pharmaceutical therapy exists (Riluzole), which slows the rate of progression and prolongs survival. Although the etiology is still unknown, factors underlying different pathogenetic mechanisms have been reported in the last decade. ALS was recently brought to the attention of the wider public through the “Ice Bucket Challenge,” an online awareness-raising campaign that went viral from July�CAugust 2014 and involved people recording themselves emptying a bucket of iced water over their heads. 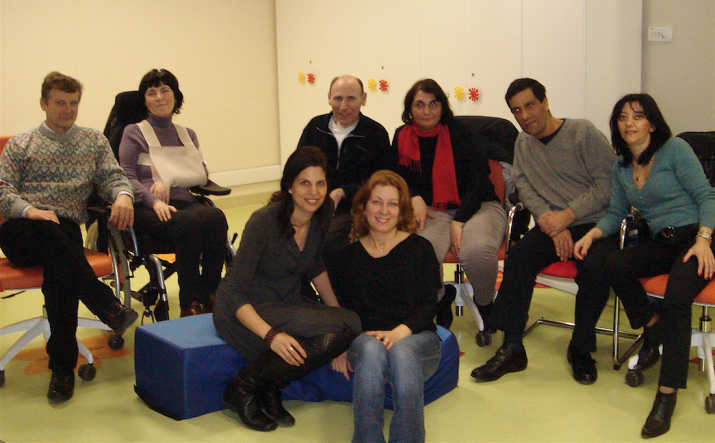 The NEuroMuscular Omnicenter (NEMO), based in Milan, is a clinical center for neuromuscular diseases that draws together the expertise of a large team of specialists, who perform a multidisciplinary service covering the full range of needs of ALS patients. The psychology unit opened as integrated part of NEMO from its inception in 2008. We then deepened our study of mindfulness thanks to research support provided by Università Cattolica del Sacro Cuore and with the collaboration of professional mindfulness trainers Ramona Gatto and Viviana Fabiani. In order to improve the quality of life and psychological well-being of people with ALS, we have developed a specific meditation training initiative based on the original Mindfulness-based Stress Reduction (MBSR) program of scientist, author, and meditation teacher Jon Kabat-Zinn―adapting the MBSR protocol to ALS clinical features, giving particular attention to the physical limitations ALS imposes on the patient. We also provide the primary caregivers of each patient with the opportunity to participate in the intervention: given the huge physical limitations that this disease inflicts, patients in recovery in our specialized center are often assisted by a partner. This experience is a good way to involve carers and to help them deal with the burden that their loved ones inevitably struggle with. In developing our program, 50 participants were assigned to the experimental group and joined an eight-week meditation program. Each session took two hours and emphasized the acceptance of discomfort and physical limitations, focusing on the patients’ available resources and abilities. Participants were invited to explore, non-judgmentally, their emotions and the impact that physical limitations had on their feelings. We collected subjective perceptions and data through psychological tests, with the aim of analyzing the efficacy of the meditation program. Two trainers conducted the intervention, in order to share the patient’s difficulties and to maintain the focus on the participants. The main difficulty faced during the recruitment was logistical, due to the patients’ difficulty in moving from their homes and therefore to the assistance and support required. Furthermore, almost everyone highlighted the difficulty they encountered in carrying out homework: “At the beginning it wasn’t easy to do exercises at home exactly the way trainers taught us here,” noted one patient. Generally, the protocol elicited positive responses from the patients. At the end of the experience, most expressed their willingness to continue with the program. Analysis of the results indicated that meditation can improve the overall quality of life for ALS sufferers―in particular, patients reported a reduction in their levels of anxiety and depression. Such emotions were regulated by focusing their attention on the moment-to-moment experience, with an attitude of non-judgmental acceptance that was developed by strengthening their own skills during the training. While meditation cannot alleviate the physical impairment of ALS, it does help the patients to focus on acceptance of their symptoms, emotions, and feelings. Another told me: “An unpleasant event occurred today and I managed to distance myself from it.” These experiences of observing negative thoughts from a distance are important in the field of neuromuscular disease, and are in line with the findings of studies focused on groups with chronic illnesses, such as cancer and multiple sclerosis. Currently, the challenge is to establish and spread this treatment experience throughout the health system. More widespread use of this during hospitalization could improve the quality of life of patients and help to ensure a higher level of satisfaction in hospital services. Thanks to the experiences we have highlighted, patients and carers alike gained something significant from recovery―the emotional skills and fortitude to manage the disease. Indeed, hospitalization could also offer people in this situation a chance to learn skills useful in dealing with disease and the feelings and struggles that accompany it. * Also known as Lou Gehrig’s disease and motor neuron disease (MND). 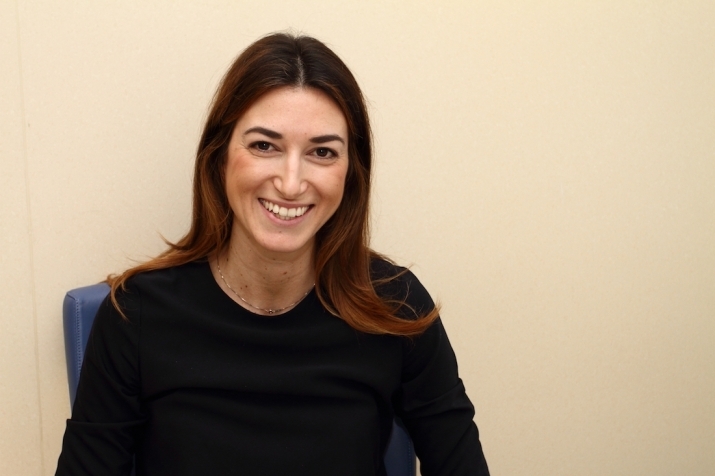 Anna Marconi is a cognitive behavioral psychotherapist based in Milan. Since the beginning of her career, she has worked with neuromuscular patients and caregivers at the NEuroMuscular Omnicentre.